In NYC in 2000 (the most recent year for which data are available) 2,600 children were injured in 17,000 taxi-related accidents. 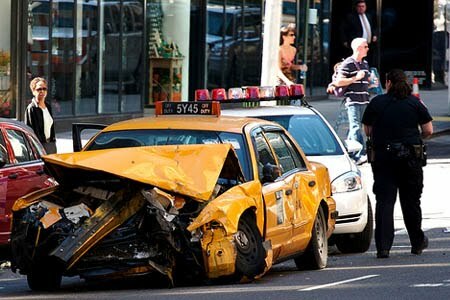 Studies show that NYC taxi passengers are 2.5 times more likely to be seriously injured or killed than the passengers in the other vehicle involved in the crash. Accidents happen – but you can prevent injuries. Have NO REGRETS; protect your children. Make sure that quick taxi ride to school or a playdate doesn’t send your child to the hospital. 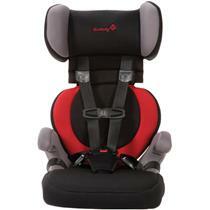 Keep kids rear-facing as long as possible – it’s 5 times safer than forward-facing – even for 3-year-olds! Let anyone ride UNrestrained. A seat belt is ALWAYS better than nothing. Buckle two people in one belt. Things in a crash weigh their weight times the speed of a crash. An adult will weigh several thousand pounds, crushing a child sitting on their lap or carried on their chest. Forget your own seat belt. Restrained passengers are 4 times more likely to die if one person in the car is not restrained, as the unrestrained person becomes a human missile. 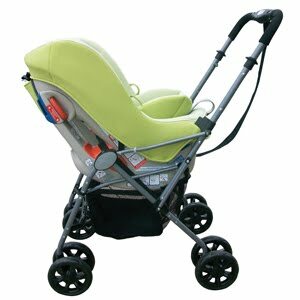 All will fit onto at least one stroller, with the Graco/Teutonia & Chicco fitting onto the widest variety of strollers. 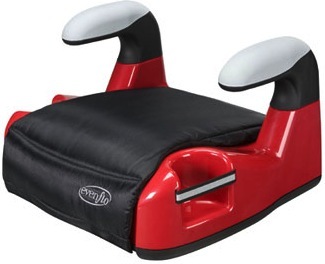 Please see this car seat/stroller compatibility chart for details on strollers for the Britax/Graco/Chicco/Peg Perego seats. Rear-facing 5-33 lbs, forward to 40 lbs. Has stroller wheels built in. Lightweight (9 lbs) & comes in a travel bag. 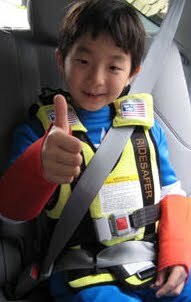 4-8 year olds are 59% safer in boosters than with just a seat belt. Boosters keep the seat belt on the strongest parts of the body (hip bones and collar bone) – and best of all require no installation. Here are a few backless boosters & one vest that all weigh less than 5 pounds (making them easy to take in a taxi).